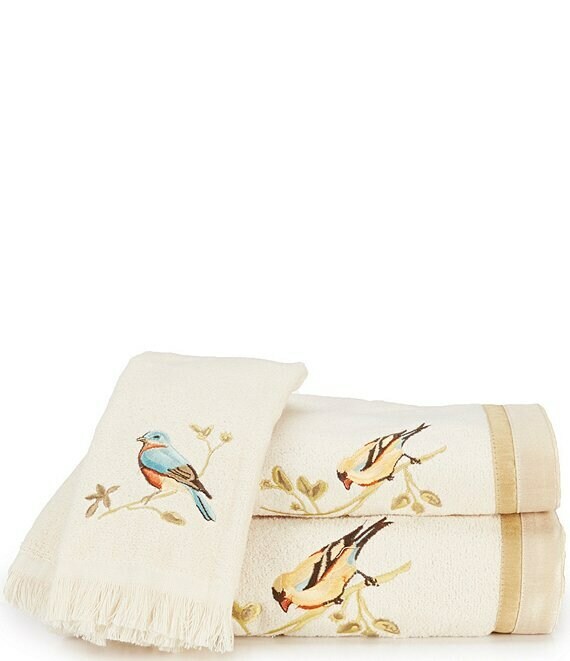 These plush cream cotton bath towels boast colorful bird embroidery that will be the talk of your washroom. The bath towel has a border treatment and the fingertip towel has fringe. bath towel approx. 27 x 50"
hand towel approx. 16 x 30"
fingertip towel approx. 11 x 18"